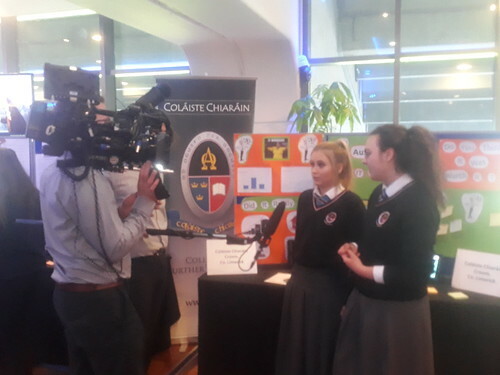 Well done to Jamie Hickey and Sarah Gillane secured a Silver Medal in the 5th year category for their project on Hosting the Rugby World Cup - A Missed Opportunity? 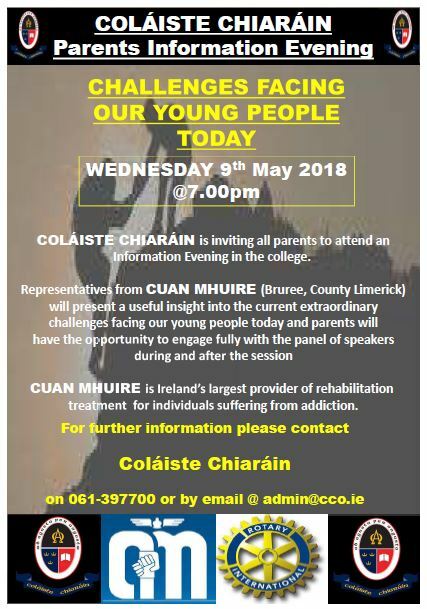 They were pipped for the Gold Medal by their own class members, Diana Mirza and Diane Sheehy who entered a project called Austerity - Was it Worth it? Diane and Diana won the overall prize for 5th year this year which is an outstanding achievement given the level of competition this year. 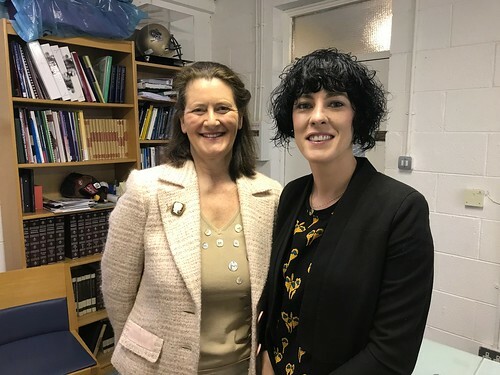 Well done to all concerned and to Mentor teacher Mr. Martin Murphy..
Pictured: Mrs. Betty Morrissey, Home School Liaison and Dr. Maureen Griffin. 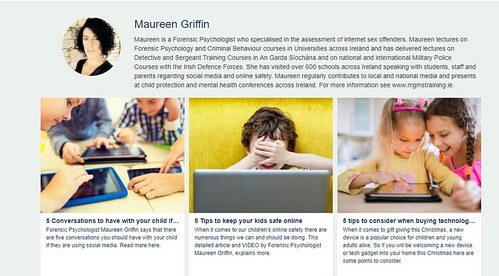 Delighted to welcome Dr. Griffin to our college today for a series of online safety seminars for all students and parents. 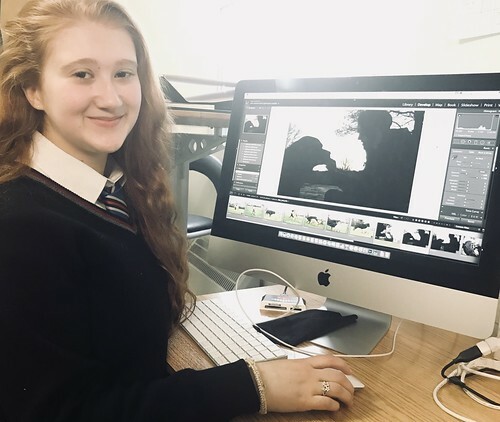 Great News.. Shaena Cohen of Coláiste Chiaráin has won the District Young Photographer competition, Her entry from LIMERICK THOMOND Rotary Club received FIRST PRIZE! Well Done Shaena.. 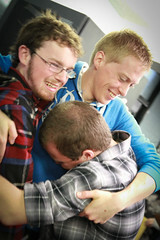 Check out this video form the first leg of this years American exchange. We are delighted to be hosting the return visit of our American partners and Friends starting from this Saturday..